A long-running series of hundreds of drawings to depict mite specimens from Australia and New Zealand. Many were new species. Specimens were drawn from the microscope using a camera lucida. ​Images: All images by Michelle Baker, credited to the Queensland Museum. Constantine RA & Seeman OD. 2014. Three new species of Eutarsopolipus (Acari: Podapolipidae) from Australian carabid beetles (Coleoptera: Carabidae). Journal of Systematic and Applied Acarology 19 (1), 87-109. Beard JJ, Seeman OD & Bauchan GR. 2014. Tenuipalpidae (Acari: Trombidiformes) from Casuarinaceae (Fagales). 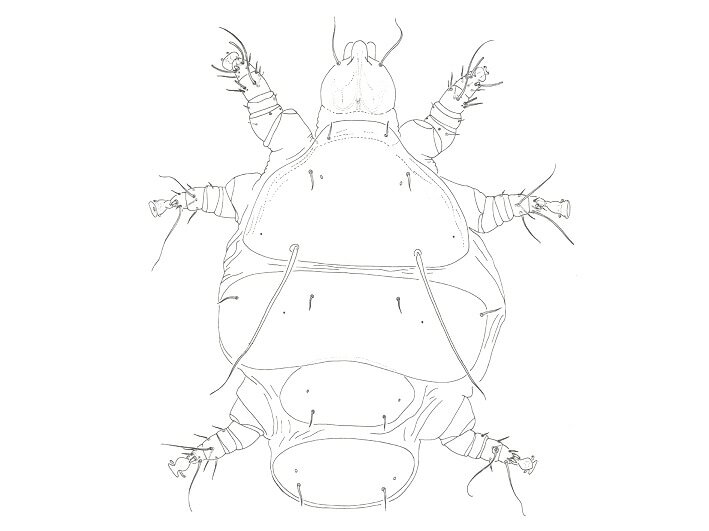 Zootaxa 3778 (1), 001–157. Seeman OD & Baker MR. 2013. A new genus and species of Discozerconidae (Acari: Mesostigmata) from carabid beetles (Coleoptera: Carabidae) in New Zealand. Zootaxa 3750 (2), 130-142. Seeman OD. 2012. 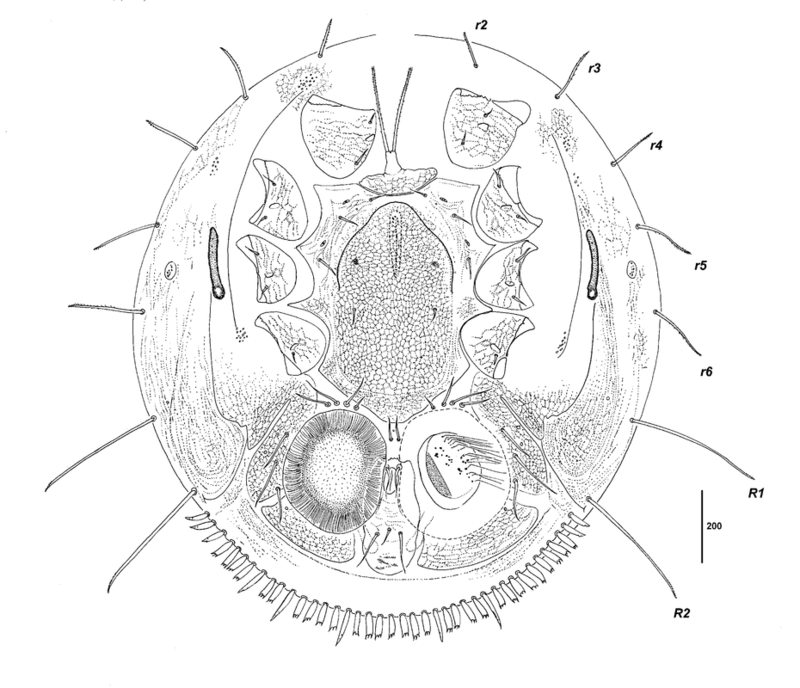 Larva and deutonymph of Promegistus armstrongi Womersley (Acari: Mesostigmata: Trigynaspida: Promegistidae). Memoirs of the Queensland Museum (Nature) 56 (1), 255 - 269. Seeman OD. 2012. 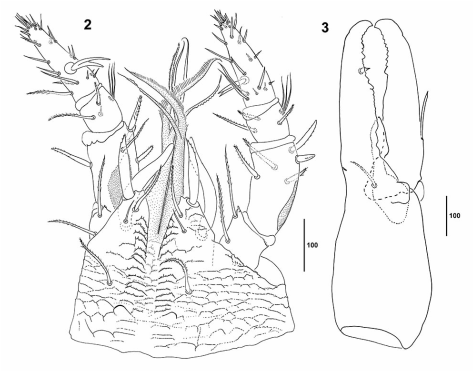 A new genus of Blattisociidae (Acari: Mesostigmata: Phytoseioidea) from Australian burrowing carabid beetles. International Journal of Acarology 38 (6), 533 - 544. Shaw M and Seeman O. 2009. Two new species of Myrmozercon (Acari: Laelapidae) from Australian ants (Hymenoptera: Formicidae). Zootaxa 2025, 43‐55. Baker MR & Seeman O. 2008. 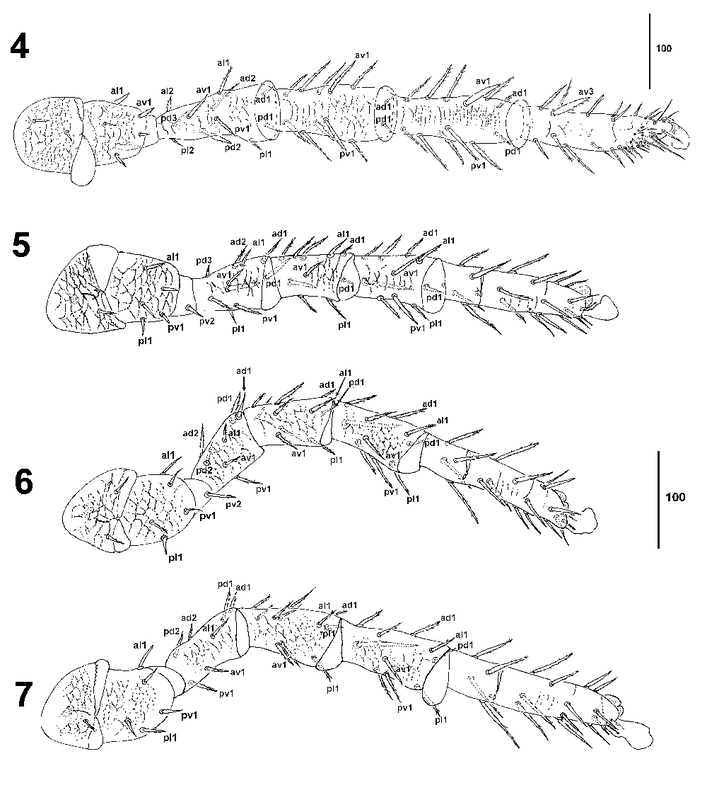 Mites and millipedes: a new Neomegistus (Acari: Mesostigmata: Paramegistidae) from Australia. Journal of Systematic and Applied Acarology 13 (3&4), 204‐213.